After doing a google research on Paleo Lifestyle Blogs I came across a blog called Nom Nom Paleo. Her name was Michelle Tam. And her husband Henry Fong. They were able to not only feed their family a Paleo lifestyle but thrive. I was intrigued. Her website made me remember that you can be creative with anything you put your mind to. If you have the creativity gene like I do, then you know it never shuts itself off. With that said, I found a few ideas from her website that guided me into my new Paleo lifestyle. Score! Her meatballs recipe is the bomb! (originally from Primal Palate) I had added my own ingredients to it and it’s still the bomb! Her take on zoodles (vegetable noodles) is awesome and using this easy and kid friendly machine called the Spiralizer which turns your veggies into zoodles!! I have been introduced to new ingredients like Coconut Aminos–which I consider to be the coconut version of soy sauce but free of gluten, wheat, dairy, soy and is vegan. (It’s great on your sashimi!!). Her website is all about going back to basics with a kick. I like the sound of that! I saw that she was selling her own cookbook, similar to her website. And I originally thought I didn’t need the book, as I had full access to her blog. But while in Barnes and Noble yesterday I saw it. And of course I had to read it. And OMG it’s totally awesome! It’s a must have cookbook. It doesn’t look like your regular cookbook, there are comics, and TONS of pictures. It’s not only her recipes but a chronicle of her and her family’s adventures. It’s a clever book. A stocking stuffer. A great gift, a must have. So I ordered it on Amazon. And I cannot wait to get it. It is 100 percent gluten-free, dairy-free, sugar-free and Paleo, and of course there are Vegan/Vegetarian recipes too. This kind of cooking, the kind where sugar, dairy, gluten and processed has left the building leaves my body feeling good. My taste buds can actually taste what they are meant to taste. The ingredients feel good. My body has great energy. I bought it because I need more inspiration. The last thing I want my food to taste like is boring. Experimenting with ideas and foods I am not used to is my JAM. I love it. It’s fun and therapeutic. 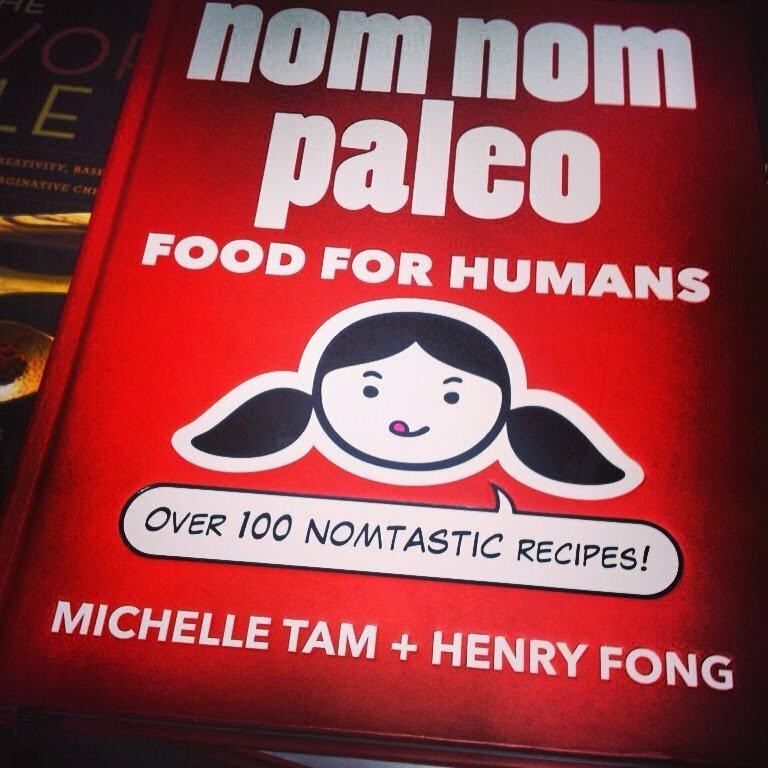 Nom Nom Paleo Cookbook is sold at Amazon, Barnes and Noble and of course on her website. Hands down, this book is going to go into my top list of must have cookbooks!! Get your copy today!! You will not be sorry! Thanks! I will. Have a great day!